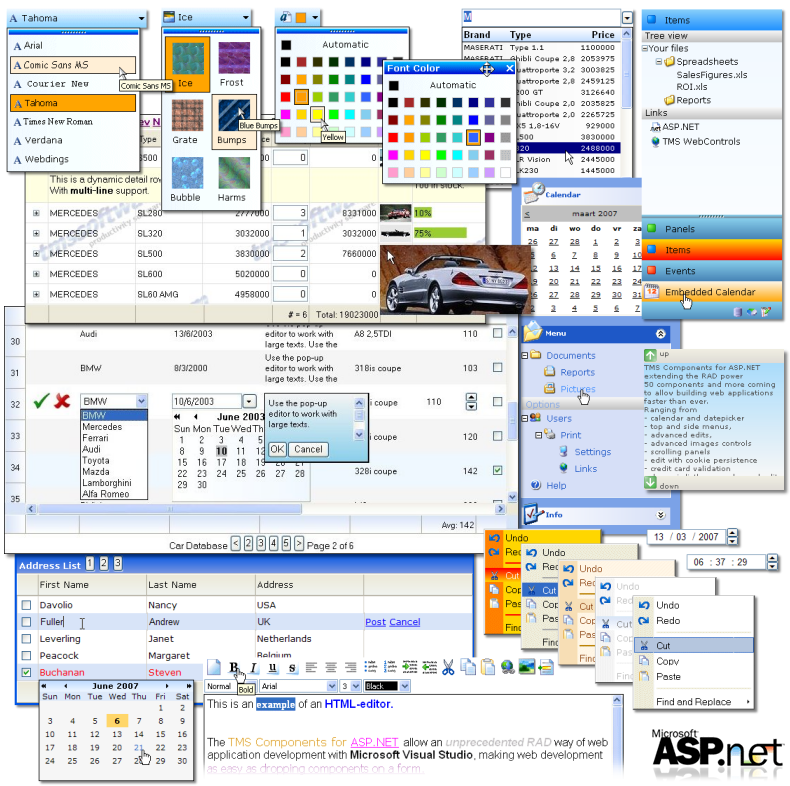 Over 60 C# ASP.NET components for RAD web application development with Visual Studio .NET 2005, 2008, 2010, 2012. The TMS Components for ASP.NET allow a RAD way of web application development with Microsoft Visual Studio 2005, 2008, 2010, 2012 making web development as easy as dropping components on a form. 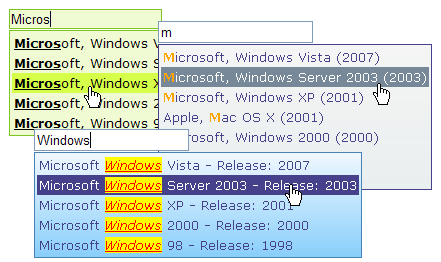 Fixed: issue with setting Column.Title propery in a non-databound grid with 3 columns. Fixed: column width when using percentage widthtype with scrolling enabled. Fixed: Issue in Firefox when Enabled = false, checkboxes where not disabled. Fixed: When assigning a gallery style to the grid the DataField, Title and SubTitle properties where reset for the first Column. Improved: When an EditRowFontColor is set, the text in the ColumnEditors is also displayed in the correct color. New : ExchangeBar : Added JS function " ExchangeBarExpand(Obj,IsExpanded)"